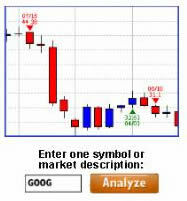 The following are a selection of economic and financial markets analysis online video's. Gold bug expectations for the Gold price to soar during 2014 once more failed to materialise for a third year with the Gold price ending down on the year at $1180 against $1204 at its start. Will 2015 be any different? Find out in this video analysis that concludes in a detailed trend forecast for 2015. Will the US Dollar collapse in 2015? Or will the bull market soar to new highs? Find out in this analysis that concludes in a detailed trend forecast. Channel 4 News shattered the thick smoke screen of the slick Israeli propaganda machine of the past 10 days of its missile barrages on the Gaza strip concentration camp populated by 3 million people, attacks that were accompanied by Israeli propaganda of defending itself against Gazan rockets despite the fact as illustrated by the growing piles of dead bodies in Gaza that now number more than 200 women and children. The Channel 4 News report illustrates why over 200 civilians have been killed in Gaza as they caught in real time an Israeli gun boat firing shells at 4 Palestinian children playing football on a deserted Gazan beach, clearly posing no threat to anyone but to the racist 'chosen people' of god of the Zionist supremacist ideology of Israel as a series of shells blasted the children to pieces. Which would have been more propaganda for mission accomplished by killing hamas fighters were it not for the Channel 4 News crew near by. Blasting away Mark Carneys flop flopping smoke and mirrors statements on the prospects for UK interest rates to reveal the underlying fundamentals for RISING interest rates this year. This video addresses the likely impact on the ongoing UK housing bull market. A history of God, the cult of Yahweh and the rewriting of the polytheistic Torah. Copyright © 2005-2014 The Market Oracle- All Rights Reserved.